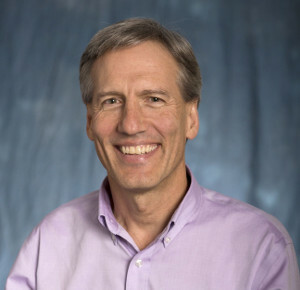 Professor Gregory R. Miller, PhD, University of Washington has been selected as the recipient of the 2015 Academic Engineer of the Year Award in recognition of his exceptional career in education and research into structural fatigue and computational mechanics for modeling landslides and debris flows. He currently serves as the Chair of the Department of Civil and Environmental Engineering at the University of Washington. His teaching and research efforts focus on making computational tools useful, emphasizing the importance of transparency and ease of use to ensure that engineers understand what their models are doing. This is to ensure that the human-computer interface illuminates important behavior and encourages in-depth analysis in ways that align with engineering needs. His creative work resulted in the development of new courses and participation in numerous national workshops. 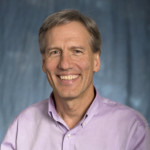 He joined the University of Washington faculty in 1983, and served in a number of important positions including Associate Dean of the College of Engineering. During his tenure at the university, he has helped to educate thousands of students (undergraduate and graduate) while contributing directly to the state of engineering through his research and scholarly publications. He received a University of Washington Teaching Award in 1994 and continues to serve as a member of the University Teaching Academy. In this role, he has participated in a number of initiatives aimed at developing instructional excellence across the university. He has conducted numerous investigations of mobile platforms, image processing, and machine learning for infrastructure sensing and monitoring. His published works have been broadly cited, and he has been involved in the development and dissemination of numerous software products for numerical analysis. Dr. Miller has been an active member of the American Society of Civil Engineers and serves as associate editor of the ASCE Journal of Engineering Mechanics.